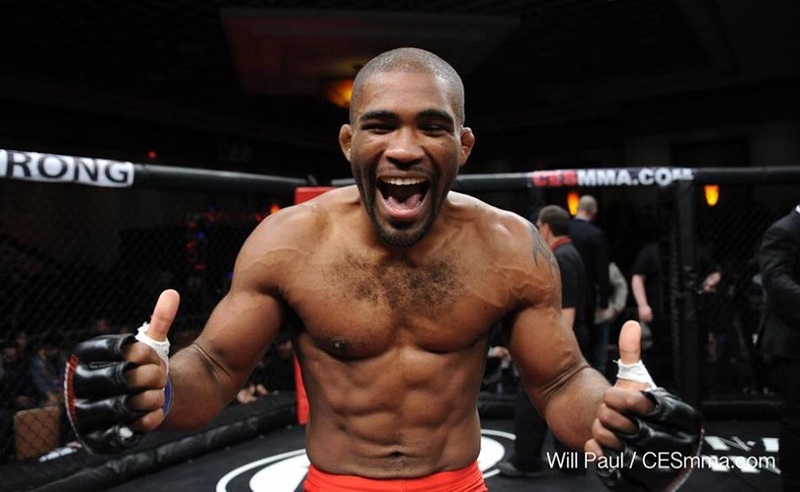 Chris “The Action Man” Curtis will defend his CES MMA World Welterweight Championship versus Wilfredo “The Brown Bomber” Santiago at CES42 on March 31 at Twin River Casino in Lincoln, R.I., LIVE on AXS TV Fights. A Cincinnati native now training out of Team Quest in California, Curtis won the 170-pound title with a first-round demolition of former champ Gil de Freitas in early 2016. An unfortunate series of injuries, and a non-title bout with Nah-Shon Burrell, has kept Curtis out of the winner’s circle for far too long, “The Action Man” said. Now, Curtis is back and ready to make up for lost time. “I don’t know much about Santiago, aside from the fact that he’s a tough guy and a game opponent, but honestly it doesn’t matter. I just can’t wait to fight again and defend my title,” said the champ from Team Quest in California, where he trains with UFC fighters like Sam Alvey, Sean Strickland and former CES headliner Joey Gomez. But the heavy-handed Santiago is ready to rise to the occasion. Now training under the famed Jackson’s MMA banner in New Mexico, the Lawrence, Mass., native, has plowed through his past four opponents, taking out each in less than a round of action, including former CES MMA World Welterweight Champion Chuck O’Neil. March 31, “The Brown Bomber” said, can’t come soon enough. In the CES 42 main event, Woonsocket, R.I.’s Andre “The Asian Sensation” Soukhamthath will defend his CES MMA World Bantamweight Championship for the second time against Virginia’s Tony Gravely, who enters the cage for the 12th time after a standout wrestling career at Appalachian State University.